A pop-up menu will appear that shows all the shapes you can add. 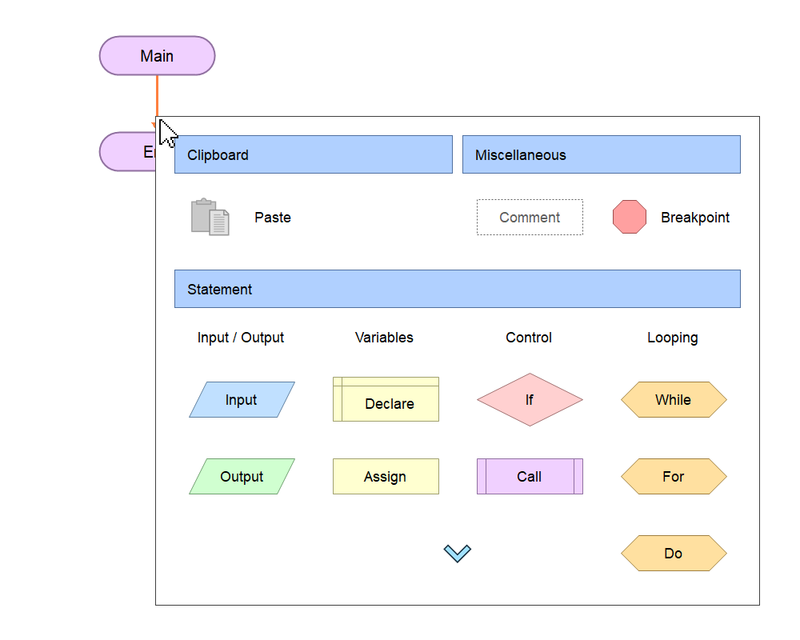 In flowcharts, each action your computer can perform is represented by a different shape. For example, input and output shapes are represented with parallelograms (slanted rectangles). You can also paste from the clipboard using this menu. In the picture, it is grayed-out, so there isn't anything to paste yet.